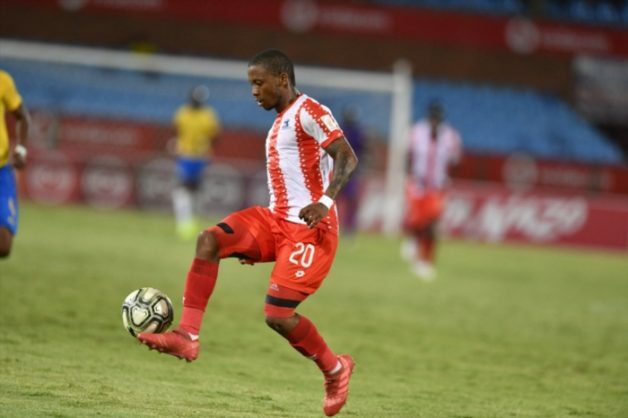 Thabiso Kutumela gave his Maritzburg United teammates a good laugh on Friday night in a post-match interview after they beat Polokwane City 3-1 in a league tie. In a social media post, United players Yannick Zakri and Deolin Mekoa are seen watching Kutumela doing an interview and then falling over in laughter as he speaks to TV presenter Phumlani Msibi. Kutumela told Msibi that the real reason Zakri and Mekoa watched the interview was to hear him speak English. Social media was divided with some claiming it was rude to make fun Kutumela for the way he speaks while others laughed at the joke.